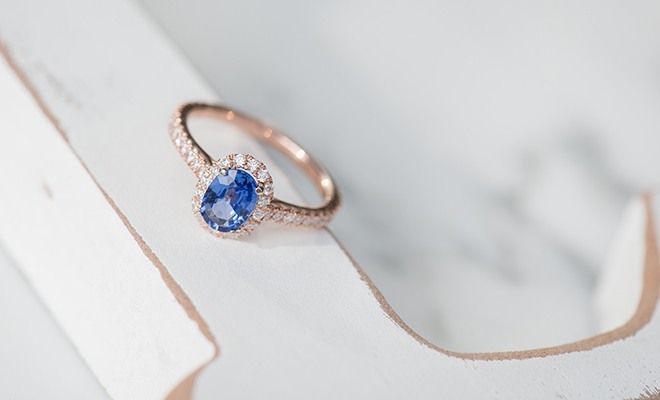 Must-See Sapphire Engagement Rings for Spring 2017 - Shane Co. 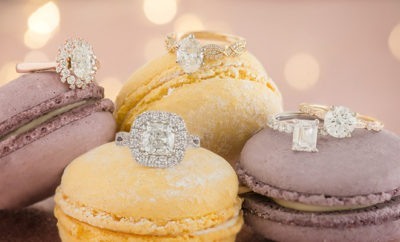 While a diamond center stone may be the most common choice for an engagement ring, sapphires are rising in popularity. 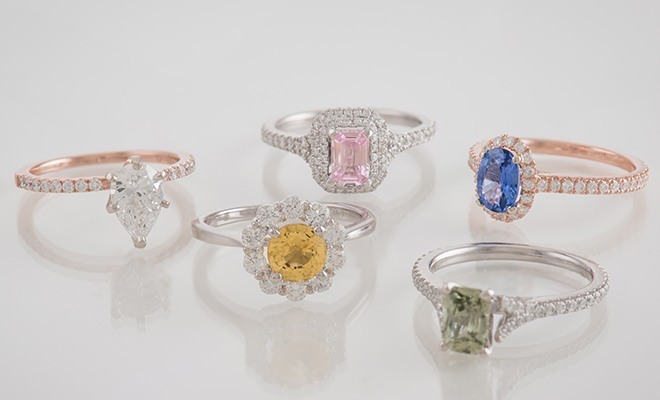 Shane Co. has sapphire stones available in every color of the rainbow, and their remarkable hues and modern vibe guarantee you’ll stand out from the crowd. Here are some colorful new styles that have caught our eye this spring! A gorgeous blue sapphire center stone is accented by a sparkling diamond halo in this elegant engagement ring. A contrasting rose gold setting really makes the blue pop. 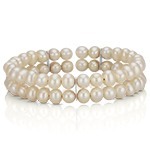 Part of our exclusive Eternally Yours Collection, this ring is the perfect something blue for your big day and beyond. Yellow sapphires are cheerful and unique, don’t you agree? 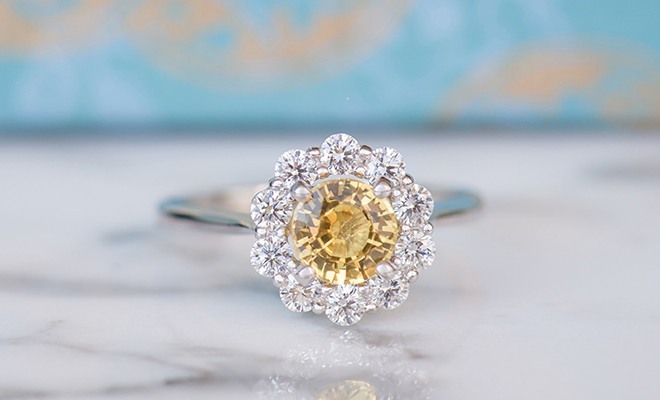 A vibrant yellow sapphire center stone gives this halo engagement ring a unique look that cannot be missed. 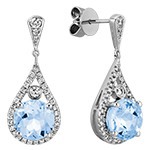 It’s a beautiful choice if you love bright colors. If you’re a classic bride who wants a shimmering center stone without paying the high price of a diamond, a white sapphire is a gorgeous choice for you. 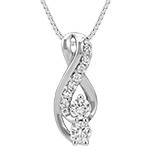 This lovely rose gold setting is elegant with the pear-shaped white sapphire center stone. 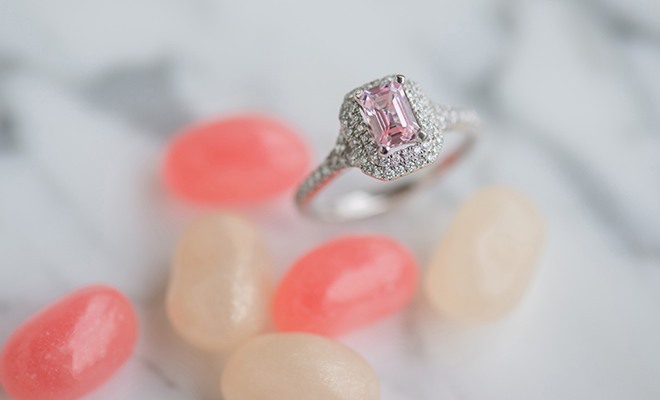 This beautiful engagement ring features a gorgeous emerald cut pink sapphire surrounded by a double halo with 96 sparkling diamonds. 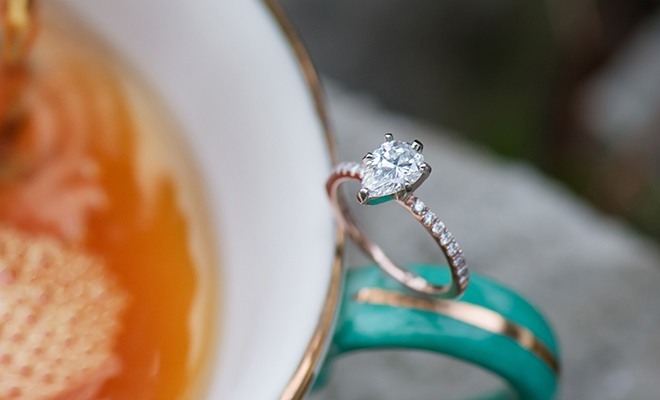 It’s a dazzling engagement ring if you’re an unconventional bride who likes making a statement. 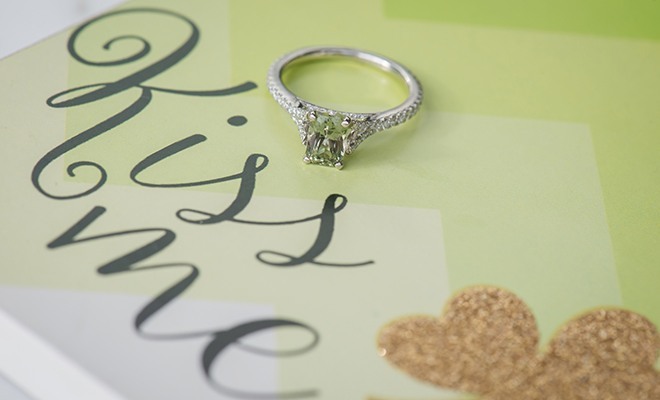 A striking green sapphire center stone gives this classic cathedral-style engagement ring bold color. 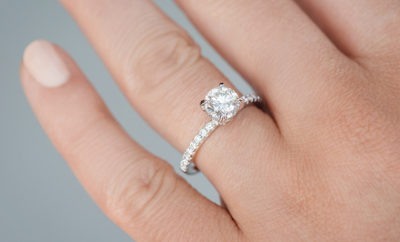 And the platinum setting detailed with 58 sparkling diamonds gives this ring unmatched shine and sparkle. Your friends will be green with envy! 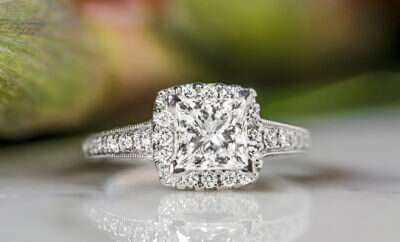 Want to see more engagement rings? 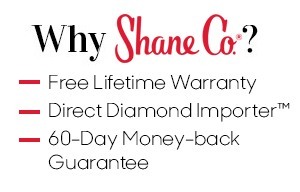 Visit your local Shane Co. store to explore our large selection and create the perfect ring for your style. ← Previous Story Which Iconic Hollywood Starlet Are You?